Wendy has been licensed as a Realtor in the State of Texas since 2008; specializing in marketing and selling Real Estate in East Texas. Wendy's market share growth has continued to escalate year over year. Wendy has worked hard to become a Lake Cypress Springs and Lake Bob Sandlin Waterfront leader in this highly desirable market. Farm & Ranch properties are another area that Wendy has been highly successful in closing many transactions. Wendy is an award-winning Realtor and has been honored with the recognition, for the third consecutive year, as the Top Agent at Century 21 Butler Real Estate Services. She is also recognized as one of the Top Regional and North Texas Agents. Wendy has built her reputation by focusing on her clients, listening to what is important to them and identifying their priorities. She is recognized as a knowledgeable Real Estate professional, terrific to work with and will provide you with outstanding Real Estate Service and Results beyond your Expectations! Recognized as the East Texas Real Estate Resource! Wendy is a rare jewel in a crazy Texas Real Estate market. We have been through several Real Estate transactions over the last eight years, buying & selling 3 properties. My husband loves Real Estate so he is very discerning in the value and movement of properties. He did his homework prior to listing our Lake Bob Sandlin home. Based on website recommendations, Wendy Rogers stood out, but we would of course formulate our own opinion. We were and still are very impressed! Wendy brought a fresh air of professionalism, trust, business-savvy, decisiveness and class to the sale of our property. We are not easy to please and this being more of an emotional decision to have to sell, Wendy eloquently moved us through the dynamics that ensued. Whether buying or selling, you too will be thoroughly impressed with choosing Wendy to represent you. Joni and I want to thank you for representing us on the purchase of our new lake house and the great experience you provided to us from the beginning to the day we closed. As you know, we had been looking for a while and you were outstanding on listening to our needs and followed up with houses that fit those needs. You were very professional, responsive and very prudent through the entire process. What we come to appreciate the most was your transparency and candor! We will certainly use you for all our real estate needs and give you the highest recommendations to our family & friends. I am often reminded in business, “Business will go where it’s invited and stay where it’s welcome”. Thank you for making us feel welcome! I would highly recommend working with Wendy Lynn Rogers for all your Real Estate needs. She is very knowledgeable about Lake Cypress Springs and Lake Bob Sandlin Waterfront Properties as well as the trends in the East Texas Area. We did not know if we would ever find the perfect home for our family, but Wendy was completely patient and always available to spend time with us and research all properties that we were interested in. We will use Wendy in the future for all of our Real Estate needs! I can't say enough about Wendy's professionalism, true caring nature, and extensive knowledge/connections. She brings all these qualities to the table, not just in the real estate transaction, but in the transition to our new home/community. Wendy sold our house in 2 days and found us our dream home (which took 2 years to find, she never quit looking for us)! Throughout the home buying/selling process, Wendy was amazing. We trust her with everything. Wendy doesn't forget you once the deal is done, we have called Wendy for over 4 years bugging her for everything! Recommendations for handymen, middle of the night water leak issues and anything you want to know about what is going on around the lake! She is knowledgeable and gets the job done. We felt like family. We love Wendy! Wendy is the most awesome Realtor we have ever dealt with. She called me within minutes when I inquired about properties. She's knowledgeable in every aspect which made it so easy for us. She's always available and is able to answer any question we had. Since we're new to the area we really appreciate and enjoy her emails with area attractions and events. We feel like even though we have closed on our property, she hasn't closed on us and she will still be available any time we need her. Wendy is an Exceptional Realtor and a pleasure to work with. She was extremely helpful to us in the Sale of our Lake Cypress Springs Waterfront Home. She knew which companies to use for various repairs and updates to our property, even scheduling the appointments and meeting them when we were unavailable. Her professionalism and communication skills are outstanding. We enthusiastically give Wendy our highest possible recommendation! Wendy did a great job selling our lake lot on Bob Sandlin. She communicated with us weekly, kept us in the loop when things were changing and held firm on her pricing of the lot even when I suggested a price drop. Her knowledge of the area is unmatched, if you are looking to buy or sell, look no further. If you are trying to sell, buy or thinking about moving to the Pittsburg, Mount Pleasant or Mount Vernon Areas then you need to contact Wendy Rogers. Wendy is really a professional who does everything for you in listing your house for the market. Wendy kept us up to date weekly with sales reports and SOLD our home! It was a real pleasure working with someone who cares about you. Wendy was the best realtor we have ever worked with, either in the cities or at the Lake. Her knowledge of the lake properties and neighborhoods were so helpful. However, it was much more than that. Her attention to detail throughout the whole process kept everything on tract and moving along. We used a lender who did not have experience with lake properties and we could not have gotten it closed without her. We would highly recommend Wendy. My Wife & I were looking for a house on Lake Cypress Springs or Lake Bob Sandlin for a family get away for weekends & summer retreats. We worked with Wendy for 4 months & looked at over 30 houses. She was very patient and professional with us all the way through the process. She asked all the right questions to establish what we really wanted and she found us exactly what we were looking for. She really knows this industry very well & she will definitely makes sure all the T's are crossed & I's are dotted. I'm a businessman & know what it takes to make the customer happy & she definitely makes that happen. Also after the purchase she helped us by recommending contractors to make changes to the house. Wendy is a great person and knows this business very well. I would highly recommend her and will use her again when the time presents itself. We feel like she has became a great friend to us. Thank You & You're Awesome!! I am taking time to share an incredible buying experience I recently had with the help of Wendy Lynn Rogers. I decided late spring of 2017 to start a “lake house” search for our family. I liked the east Texas area, so I ended up connecting with Wendy Lynn Rogers. She met me on a Saturday and without hesitation, we started the journey. Wendy is professional, pleasant, knowledgeable and with endless energy. While uncovering new listings, she worked to educate and guide me toward the perfect lake house. We met over several weekends where she organized marathon viewing days. By June 19th, we had found our new lake house and established a very aggressive schedule to close on July 14th. Wendy was there for inspections, dock approvals, document reviews, closing and even recommended local dining and shopping options. As it turned out, we met the unrealistic close schedule, but that is not as important as the process to get there. If you are looking for a lake property in east Texas, partner with Wendy Lynn Rogers. Wendy was the consummate professional, keeping me informed every step of the way and keeping the process of purchasing our lots moving in a timely fashion. I appreciate her efforts to make the transaction not only painless but enjoyable. Thank you so much for getting our place SOLD! Your guidance, expert knowledge and perseverance is what made it happen. Wonderful experience! Wendy was a pleasure to work with when looking for property on Lake Cypress Springs. She is very knowledgeable about the market and helped us find the perfect lot to build our lake home on. I highly recommend her for the excellent customer service she provides to her clients. I can highly recommend Wendy! Selling or buying real estate can be very frustrating to say the least. Especially in my case, living in Germany trying to sell my Lake Cypress Springs lake lot. I had my waterfront lot on the market for over 4 years, listing it with various agents with absolutely no luck at all. I was just about to take it off the market when I decided to give it one more shot and I listed my lot with Wendy. This proved to be the best decision I had made in a long time. From the very first contact to closing the deal it was a highly professional experience. Wendy went out of her way also helping me with non-real estate related matters; communicating and negotiating with my HOA on my behalf. She always responded very quick to all of my emails. Should I ever have the need for a Real Estate Professional in the Lake Cypress Springs area again, I will definitely know where to go. Thank you very much, Wendy. Wendy was extremely helpful with our purchase of the lake lot in that she was very knowledgeable, professional, helpful and friendly. We would definitely refer friends and family to Wendy. Working with Wendy has been a very good experience for us. She has been a great resource and handled a lot of things for us since we were not always available. She kept us informed about everything and was always available. She is very professional and we would highly recommend her to anyone who would like to sell their house. We would gladly use her again as an agent. Wendy Lynn Rogers was wonderful to work with on the purchase of our lake house. Her extensive knowledge of the area was very beneficial to us during this process. She always responded back to us very quickly and we absolutely felt like a top priority to her. Her negotiation skills are impeccable, we were beyond pleased. Wendy is a true professional and very knowledgeable about the market. She took her time showing us multiple lots and provided us valuable insight to the pros and cons for each location. Wendy helped my family sell a property we owned at Lake Cypress Springs. I was very impressed with her from day one. She is very knowledgeable of the local market and I was surprised and pleased with the selling price. Wendy kept me aware of the status at all times, and I could not be happier with the experience. I would highly recommend Wendy. There are times in your life when having the right person who is highly trained with a real estate background, common sense, intelligence and just plain fun efficiency is sorely needed to bring you success. In our family that person is Wendy Lynn Rogers of Century 21 at Lake Cypress Springs. Our situation involved a the purchase of a beautiful property at Lake Cypress Springs where Wendy proved to be the key to the sale & purchase of this special estate. In addition, we required the sale of our existing lake house property and Wendy brought the buyer with such ease and timeliness. The transactions were made with ease and talent like we have never experienced prior to working with Wendy Lynn. Without her incredible talent for taking the complex & making it simple this sale & purchase would have never happened. Wendy spent countless hours tending to details and planning our moves from beginning to end. We actually had a great time & got the job done! There is never a question or concern about details on real estate transactions with Wendy Lynn because she is always many steps ahead of you. Wendy is an exceptional realtor who provides service and expertise above and beyond anyone's expectations. We are thrilled with Wendy Lynn Rogers style & knowledge and feel she is part of our family now! Thank you Wendy! Wendy is one in a million! Can't say enough positive about her. She'll take care of you from beginning to end and beyond. She's the one to answer questions you didn't even know to ask! Do yourself a favor and get Wendy to help you find your next home! You are in good hands with Wendy! Wendy Rogers came highly recommended for our real estate needs at Lake Cypress Springs. After going through our home-buying process with her, my husband George and I clearly see why. Prompt, anticipating issues before they arise, attacking issues when they do arise--Wendy has the persistence of a pit bull. She steered us away from a deal we can see with hindsight would have been fraught with disaster, explaining to us in detail her many concerns. When we found our dream home, Wendy added into the contract an unconventional stipulation which allowed us the ability to convert the antiquated holding tank septic to an efficient aerobic system after purchase. Being "city folk" this would not have occurred to us, yet was vital to our long-term enjoyment of this particular property. She listens, she thinks, and many weeks after closing still has our best interests at heart. I have contacted Wendy since the deal closed with questions, needing referrals, etc. As always, she answers immediately whenever I call. George and I have been amazed that one of the busiest and most productive agents in the area has consistently made us feel like we were her only clients! Thank you again, Wendy! Amazing Lake - LAKE BOB SANDLIN! GREAT REALTOR - WENDY LYNN ROGERS! Very Affordable Lake Properties! After looking at many houses and contacting more than 5 Agents, we were very discouraged with the poor responses and unprofessionalism. We realized that a good agent is hard to find. Then we met Wendy who went so far above and beyond our expectations. After our first call Wendy had options lined out and was available to meet with us the next day. Wendy was so helpful and honest providing us with information about the homes and the area. We felt as though we did not have much to do but move in as she took care of all the details. We loved working with Wendy and give her a 100% rating. You won't find a better Realtor! We are so happy with our dream home, thanks to Wendy! A friend and colleague recommended Wendy Rogers to us as we began the search for our first lake property. We could not be more pleased with Wendy’s guidance and expertise throughout the entire process. Her knowledge, attention to detail, and dedication are unparalleled and she consistently makes you feel as if you are her only client. Wendy represented both buyer and sellers in our transaction; however, at no time did we feel as if our best interests were compromised—a true testament to her integrity and professionalism. Although a Lake Cypress Springs “fixer upper” was not initially on our radar, we are more confident in our property selection based on Wendy’s contractor recommendations. We can’t wait to see the transformation of our investment and remain grateful to Wendy Rogers for helping us make the dream of a second home Lake Cypress Springs a reality. Wendy is awesome! She went way above and beyond and made the process of selling our lakehouse a breeze! Wendy is totally professional; however, she becomes your friend in the process. She is really empathetic to the customers' needs. She has taken two impossible situations for my family and turned them around into sales in record times! I recommend her to all of my friends. We were very happy with the service Wendy provided. She made recommendations on improvements to maximize buyer appeal and provided us with names of reliable contractors to make improvements and repairs. She guided us through every step of the process in selling the house and thanks to her meticulous attention to detail, nothing was overlooked. She is a consummate professional and her personal service is second to none. Wendy helped us purchase our retirement dream home. She seemed to know what would fit us before we did. She was always patient and made the whole process work. We highly recommend her. Thanks, Wendy!!! We met Wendy through a friend who used her for their lake home purchase at Lake Cypress Springs and they highly recommended her. We can certainly see why she got such a glowing recommendation from them! Wendy is marvelous. It’s really difficult to describe all she did for us through our transaction of purchasing our beautiful lake home. She has a unique ability of making us feel as if we were her only client. She is a true professional who cares very much for the clients she serves and she delivers on everything she commits to. We would recommend Wendy to anyone buying a home or property at Lake Cypress Springs and any surrounding areas. We want to take a moment to extend our heartfelt thanks for the dedicated effort in getting our transaction closed last week. As owners and investors in real estate we know each property has its own challenges. When the listing appeared, we had multiple showings in a very compressed time frame. Since the property listed abutted others we currently own, we were looking for a particular type of buyer. You not only provided us with several options, your knowledge of real estate, and ability to bring buyers and sellers together culminated is a successful transaction for all involved. We look forward to doing additional business in the very near term. We love your no drama approach to listing, marketing, negotiating and closing real estate transactions. Wendy Lynn Rogers did an outstanding job helping us locate a home in King's Country. We would recommend her to anyone needing a Realtor's help. Her knowledge of local business and willingness to provide that information was extremely helpful to us. We cannot think of a single thing we would change or add to our dealings with Wendy Lynn; all business should be conducted in Wendy Lynn's style which is professional, timely, and courteous! As I indicated above by giving Wendy "5 STAR" ratings in all real estate professional's skills, I consider her every bit that professional. Wendy is a very sincere and warm person. You become very comfortable working with her early in your process. Time and again Wendy proved to be truly honest, responsive, and knowledgeable and did all with sincere integrity. Her process expertise knowledge was amazing. To me, Wendy became a friend as much as an agent. Wendy is just a fine person. I would highly recommend her services to anybody. She will be the "right agent" for anyone. Go Wendy....5 Stars to you. Fantastic experience! Wendy is straightforward, thorough, and attends to all matters promptly. She ensures full exposure for your property, using the latest marketing tactics. Represents your interests fully. Look no further in Lake Cypress Springs. The process of selling a home in today’s market must include detailed information about the property and provide answers to the potential buyers’ questions. The road for the seller can be a series of peaks and valleys. Wendy skillfully guided us and supported us in collecting information and supported us in preparing our home for sale. In doing so she “leveled the road”. Wendy kept us informed, returned calls promptly and reminded us of dates and details regarding the selling process. We are so grateful for Wendy's knowledge, experience and patience in helping us to relocate closer to our family. Wendy is our friend for life. I want to give you a BIG THANK YOU for taking care of selling my house. I know that you did many things for me personally that you were not obligated to do. THANK YOU!! My wife and I have worked with Wendy on three separate real estate transactions. She handled the purchase of our current home, the sale of our second home in King's Country and we just closed on a purchase of land next to our current home. Wendy has always been a very professional agent and exceeds our expectations for the handling of our real estate transactions. We would highly recommend Wendy to any person needing a very professional real estate agent. Wendy is the most knowledgeable real estate professional we have ever had the pleasure of working with. Wendy is very responsive and extremely detailed oriented. She made our home purchase a very enjoyable experience. I am glad we placed our complete confidence and trust in Wendy, after all she helped us find our dream retirement home. You cannot go wrong with Wendy Lynn Rogers and Century 21 is indeed lucky to have her on their team. You are simply the best Wendy! Wendy was simply wonderful throughout the entire process. She patiently emailed and showed us properties for over a year until we found the perfect property. 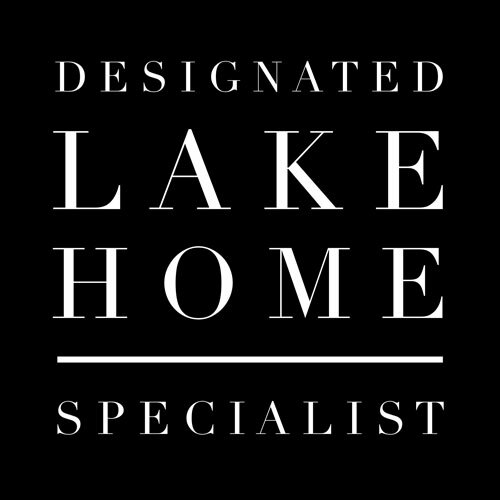 She did not push us to make a decision that was not right for us, she was factual and clear about what we needed to consider as we looked for a lakehome. She went over and above in ensuring our offer was fairly represented to the seller in a timely manner. We felt she was just as happy for us as we were getting our dream house. Thank you Wendy for finding us a property we will love for many, many years! In any field of endeavor you occasionally meet an individual who rises above the rest! They make it look so easy that you forget how much work is being done behind the scenes. Wendy Lynn Rogers is just such a person. We would highly recommend her as a real estate agent based on the great experience that we had buying a lake home on Lake Cypress Springs. The whole process was flawless and Wendy helped move each phase of the project forward in the most professional way. Wendy is the best real estate agent we’ve ever worked with because she has the characteristics and habits that lead to success. First she has high integrity. One of the things that can make buying and selling a home stressful is being unsure about who to trust. Wendy’s behavior and the subsequent transaction convinced us that we could trust her as a partner in such an important decision. Second, she knows the community and is very knowledgeable about her field. Third, she is helpful and responsive. Wendy has a range of contacts and is skilled at getting the many projects that have to be completed in a real estate deal to happen. In our case she demonstrated a willingness to go above and beyond for us and explained what she was doing all along the way. Finally, Wendy was a delight to work with and that made the whole process a pleasure. We would highly recommend Wendy’s real estate services. We listed our home with Wendy Lynn Rogers. She had our home under contract and closed in 6 weeks. My husband and I are real estate investors and Wendy is at the top of the list of realtors with whom we have worked. Her detail orientation is to a level of perfection. She didn’t miss a beat. Wendy had everything we needed to us before we had a chance to ask for it. She kept us informed every step of the way. She is kind and personable. Wendy’s extensive prior business experience shows in her analytical skills and her ability to get transactions closed quickly and accurately. We can’t say enough good things about Wendy. Wendy Rogers is the Century 21 agent I listed my 2- side by side lake front properties with. Over the last 20+ years I've worked with a-lot of agents, but Wendy was a real breath of fresh-air. Wendy never lost faith, and continued marketing on the internet, sending mailers, and working with me on ideas to improve the property attraction. Wendy knows the real lake property values, and had my property at the true value, with no need to make reductions. Wendy made the whole selling experience go by quickly, and always convinced me a sale was coming. My property sold, and I'm now working with Wendy to purchase another property. Wendy Rogers is my agent of choice, and Century 21 should be glad to have her in their office. Beyond being very professional and knowledgeable, Wendy was patient and thorough as she supported us through the purchase of our home. She was quick to respond and worked diligently to make sure our timelines were met. Her familiarity with the area is of immense value as she can give great perspective on options and things to consider as you make decisions. We enjoyed working with Wendy and would highly recommend her! From our first meeting with Wendy Rogers, she was the epitome of a professional. We listed our lake house with her, and it sold much quicker than we expected. Throughout the process, she kept me updated on every showing and feedback from prospective buyers. She represented the buyers and sellers in our transaction and was fair and impartial to both parties. The closing happened very quickly too, and she was on top of every detail ensuring a quick and painless closing. She was by far the best and most professional real estate agent I have ever dealt with, and I would highly recommend her services. Wendy has made our entire experience of buying a home simple and stress free. Her attention to her clients is top notch. From beginning to end and beyond, she has her clients best interest in mind. Her knowledge of the area she services is above all others. Throughout the process she is thorough, attentive, and responds quickly to inquiries. We are fortunate to have found her and Wendy will continue to be our only choice for our real estate needs in the future. Wendy is the epitome of a Real Estate Professional. Her professional attitude though friendly is straight forward and honest. I have worked only one deal with her but would love to do so again. She always seems to go above and beyond. After browsing for lake properties on line, I contacted Wendy Rogers about one of her listings. Not being from the area, we were fortunate to find her! She assembled a group of properties, and then began tailoring our visits with new ones on the 1st day we met. We had a contract on a property in one day. Her knowledge and local resources got us closed in under a month. She was there for us on a daily basis, pushing the process along and dealing with issues on our behalf. It couldn't have been a smoother process! Thanks, Wendy! Hands down, Wendy Rogers is the best. She was thorough, quick to respond, very organized and super sweet! She hung in there with us while we hemmed and hawed over whether to buy a lake house and then one day she came across one and it was perfect! Wendy has a tremendous "grasp" of the market and possesses that intuitive feeling as to what a house is really worth... her knowledge of the area is spot on so we had full trust in her from the beginning! Did I already mention how sweet she is! We can't thank you enough for all your HARD work that you did for us. Thank you Wendy - we are so excited to watch our boys grow up at this lake house and all the memories that we have to look forward to! Thank you Wendy! It has been a few months since Wendy guided us through the purchase of our first (but long awaited) lake home at Lake Cypress Springs, and it has been GREAT. Wendy was not only a true resource in guiding and helping us find the right property at the right price, she wasalso invaluable in taking care of all of the details associated with buying property. It was truly “painless”. Her knowledge of the local Lake Cypress Springs real estate market, as well as the support she has provided after the sale (contacting local trades-people, maintenance recommendations, etc.) is amazing. In addition, Wendy has continued to help us with our property. Being an absentee owner, Wendy continues to keep us alerted as to weather and water conditions at the lake, even offering to periodically check our property as she travels throughout Kings County. I would, without reservation, recommend Wendy Rogers to anyone interested in property at Lake Cypress Springs. Wendy is completely dedicated to her clients. She is extremely knowledgeable and service oriented. She will take care of your needs 100%. I would highly recommend her. Wendy is the subject matter expert in her field and has excellent knowledge of the Lake Cypress Springs area. Wendy worked tirelessly to ensure our real estate experience was a positve one. Wendy has the perfect professionalism and personal balance required to make you feel appreciated. I would absolutely recommend Wendy as the Realtor of Choice. Wendy is by far one of the best Realtor's I have ever worked with in my Mortgage career. She has a caring and understanding attitude with her clients, works to meet their needs at every turn and is involved in every aspect of their home buying process from start to closing. It is refreshing to work with someone so professional and knowledgeable about her business and I would highly recommend her to anyone looking to buy or list their home. I have been a repeat client of Wendy’s, choosing her to assist me with several transactions because of her professionalism, real estate expertise and dedication to excellence. She has demonstrated the ability to “get the deal done” and I have greatly appreciated her style and results. We wanted to commend Wendy for the wonderful job she did helping us find our Lake Home. She tirelessly made herself available during the entire search, purchase and closing process. We viewed many homes, each time she progressively narrowed down what we were looking for and provided guidance and insight. Our search, offer, inspections, repairs, and closing were 100% smooth with no issues. Even post closing, she helped schedule, coordinate and recommended various contractors to complete a variety of jobs at the property. She provides a service above and beyond any typical realtor that I have ever worked with. We were so lucky to have her as our realtor and will use her again as the need arises. We were very pleased with our home buying experience with Wendy. From the first time I contacted Wendy on the internet she was always responsive and courteous. She handled the negotiations professionally and was very thorough and attentive to every detail throughout the buying process. We have recommended Wendy to several different people and we would enthusiastically recommend her to others. Wendy goes above and beyond what we have previously experienced from other agents we have dealt with in the past. We have done a number of residential and commercial real estate transactions over the years, and Wendy was by far the best. Wendy was amazing when she helped us find our lake home. She made sure we saw the beauty of the lake and how we would use it. Then she figured out exactly what we wanted and helped us through the entire purchase. We love it! You are the best and #1 Realtor on the Lake! We met Wendy by chance, just walked into the Real Estate office - what a great Realtor. From our first meeting till closing, Wendy was there - seeing to all that needed to be done; contractors, inspections, repairs, sound advice and closing. We recommend Wendy Rogers to everyone buying & selling. Our life here at the Lake is a dream come true. Thanks, Wendy! In short, Wendy is the perfect professional. Great service! Quick response! Knows the market! Makes for turnkey closings. Simply wonderful to work with! Above and beyond best describes Wendy Rogers, instant response to calls or email and she will follow through. Services do not end at the closing table. She expresses and demonstrates genuine concern for her clients. By far the best Realtor we have ever dealt with. Wendy is the most professional real estate agent that I have ever worked with in all my many years. She has represented me on several transactions and I could not be happier. I have recommended her to several people because of the trust I have in her abilities. As we go through life, there are only a few times that we consider a major event. One such time is the purchase of a home and in this case a second home on a lake in an area unknown. By chance and great fortune, I connected with Wendy Rogers. Wendy encouraged us to look at a newly listed property. She knew the property, the value and the few opportunities that arise on this particular lake. The total process from offer to close was exactly 4 weeks and I cannot say how easy Wendy made it. I travel for a living and she took care of us communicating as needed all the way to closing. The personal touch, reassurance and insight were extremely valuable to us. Throughout the process from an immediate reply on a Sunday, all the way through closing, Wendy made the experience easy, simple and most important, personal.Wendy took my wants, my desires and found us a place that we could not be happier with! I now call her a true friend! Wendy is very personable, has a lot of knowledge of the area and is very detailed. She was really easy and a lot of fun to work with. We had some renovations to do on the home we purchased and she helped us locate good contractors to do the work. Wendy took the stress out of buying a home. Wendy is wonderful! We have had several real estate transactions with Wendy; both as our agent and an agent for the buyer of our previous property. She is very professional and there is no drama even if things get sticky. Thank you for EVERYTHING! You are a great source of information, much more than just a Realtor! We love the “compound”. With respect to the home buying process, I want to thank you for your professionalism and persistence during the sales cycle. We know there were many unforeseen challenges and you were able to navigate us through them in the best manner possible. We will absolutely point any perspective buyers your way as I am sure you will provide the same level of support that we received. Thanks again! We can't thank you enough for all your HARD work that you did for us. Your dedication and care for your clients is wonderful! Wendy Lynn Rogers is very knowledgeable and helpful and knows her field well. Very professional as well!